People are right it`s not a pub pretty soulless really, no reason for us to visit again. A bar rather than a pub which specialises in selling your fairly typical range if lager such as Becks Vier, Kronenbourg and Red Stripe. No ale, but they do sell Guinness so no surprise there. One for the younger crowd. Oh dear, it's obvious that the negative comments on here were written by jealous wannabe rival landlords!!! I haved live in Guildford for ten years plus. 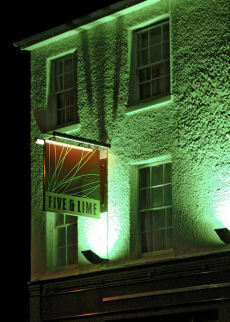 Five and Lime is definately one of the best if not the best bar in Guildford. Fact! It certainly not your run of the mill sh*te. Friday and Saturday nights are busy, but hey what do you expect, (and - what do you want? If you want real ale, then duh goto an old persons boozer. 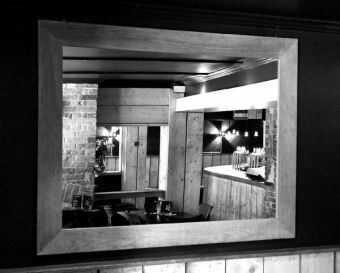 The atmosphere is always warm and friendly, and inside is modern fresh. There are always lots of bar staff on so you get served in good time! With a great selection of bottles beers and dozens of wacky spirits to work through you wont be dissapointed. 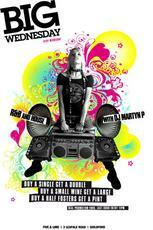 DJ's spin some awesome tunes at weekends and event nights. If the 2am finish isn't enough then goto there sister pub the Legion!!! It is far from my choice of a pub I have to say, but I suppose I should have realised with the greens lights. This is definitely a younger persons place to visit. No real ale whatsoever but that was hardly a surprise I must say. Given the limited choice I stuck with Becks Vier - which was tasteless and poor. The Guinness may have been better. I feel this is actually a Bar and not a Pub and will rate it low.